Our mission is ecoliteracy. 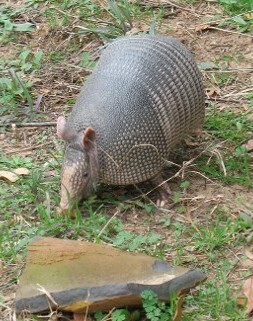 We use research-based science to design outdoor games that share the fundamentals of evolutionary biology and deep time. 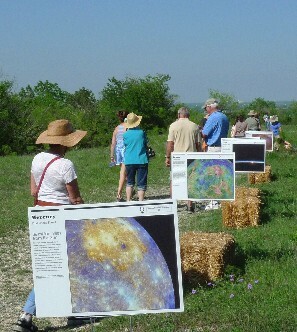 Our games reveal Earth's place in space and deep time history, while exploring the Cross Timbers ecosystem. We serve home school science co-ops, scouts, family groups, unschoolers and school groups. 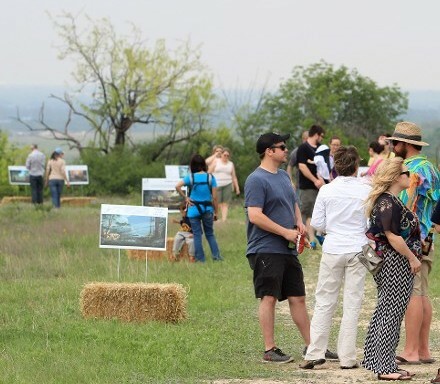 Our programs have been praised in the Native Plant Society of Texas Journal, and our work supported the recent BioBlitz at Tandy Hills Natural Area. We're also proud supporters of the Children in Nature Network. 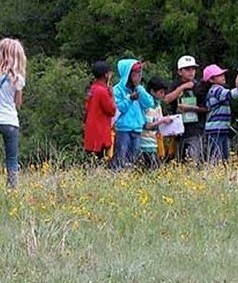 Since 2010, we've created science games to support the best Earth Day celebration in Texas (see the link to Prairie Fest Nostalgia at Tandy Hills Natural Area), and Keller Farmers Market. Explore our VolunteerMatch page to sign up for free volunteer training to help lead our games. Your donation will help deliver field experiences to students through our outdoor education programs. We are a 501(c)(3) non profit. Your donation is tax deductible. Contact us, and we'll bring our program to your site or a public green space near you.